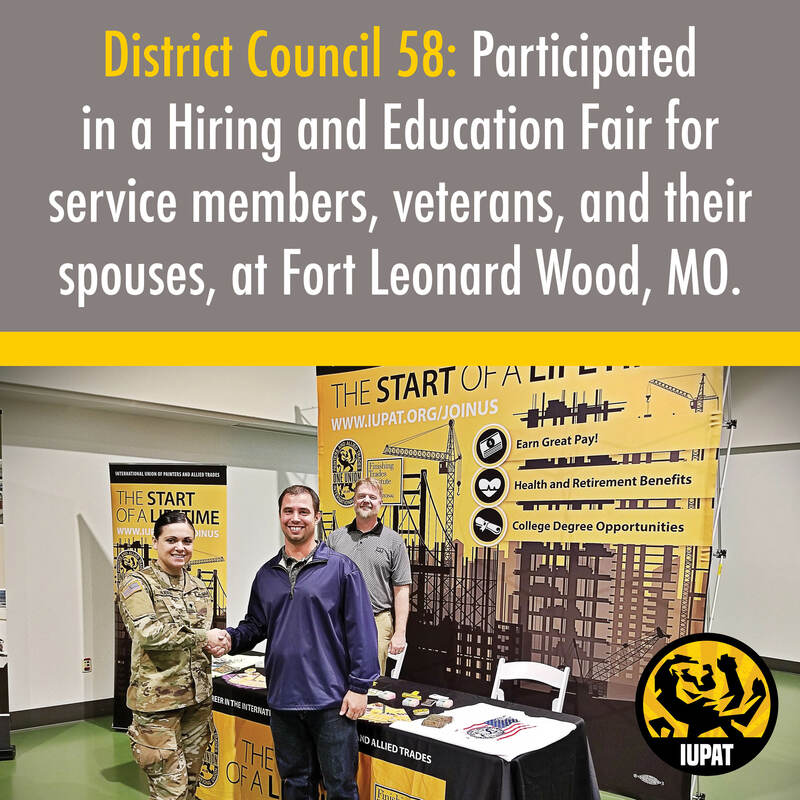 District Council 58 recently participated in a Hiring and Education Fair for service members, veterans, and their spouses, at Fort Leonard Wood, Missouri. More than 150 current and veteran service members attended the hiring fair to learn about the civilian career opportunities available to them after their military service. Transitioning from military service can be difficult. The IUPAT believes that veterans deserve access to every resource available to continue to build a brighter future for the families. 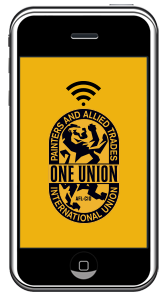 That’s why the IUPAT is redoubling our efforts to invest in recruiting and training veterans, as well as civilians from underrepresented communities, for rewarding careers in our industry. “It was rewarding to discuss the difficulties service members face in their transition to civilian life and how the district council could assist them to fund the right career path,” says Jonathan Elliott, an organizer with DC 58/ LU 2341.